Speaking of vanilla, as I was elsewhere … A very odd story caught my eye. Although long considered a product that originated in ancient Mexico, vanilla — which is extracted from beans such as these — was used by Middle Easterners around 3,600 years ago, a new study finds. Well dodgy, but not exactly wrong. Not exactly. My first thought was that maybe the archaeologists had fooled themselves. After all, pure vanillin is a byproduct of the degeneration of lignin. Maybe a bit of decomposing wood contaminated the juglets in which the stuff was found. But no. The truth is even more interesting, and hidden deep in Science News’ account. For a start, the juglets also contained traces of olive oil. And while plain vanilla usually signifies the species Vanilla planifolia, there are, in fact more than 100 different species around the world. 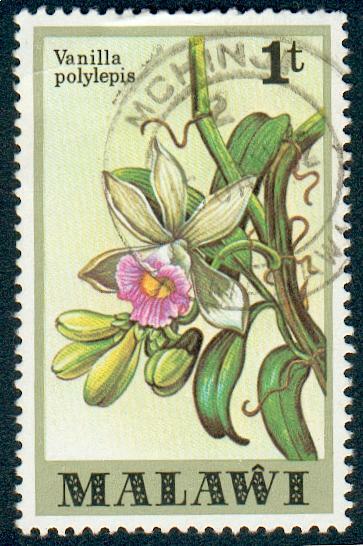 Vanessa Linares, the archaeologist who identified the compounds, refers to “the vanilla orchid” in an abstract of her research. In fact, she compared the compounds she found with those produced by other species of Vanilla, and suggests that it could have come from one of three different species. 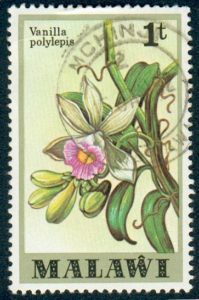 After a close study of vanilla orchid plants, three different species were identified as possible sources for vanilla exploitation in antiquity: V. polylepsis [sic] Summerh (central east Africa), V. albidia Blume (India), and V. abundiflora J.J. Sm. (southeast Asia). I think, under the circumstances, I might have written “a vanilla orchid”. Anyway, parsimony suggests (to me) it was V. polylepis from east Africa which, although apparently showy and widespread, was not described formally until 1951. If it did travel from east Africa to the Levant, that is impressive enough. Even more so is that the people who traded it 4000 years ago knew how to undertake the painstaking fermentation that is the secret to the odour and flavour of natural vanilla. The pods barely smell, and certainly not of vanilla. So yes, not quite what Science News was trying to sell, but pretty interesting all the same. And a project for some enterprising breeder in east Africa: Domesticate your local vanilla. It’s a sickness, I know, but when I read the Grauniad article Luigi just nibbled — Salsify: Waitrose brings back ‘forgotten’ Victorian vegetable — I knew I couldn’t rest or, indeed, eat lunch, until I’d set matters straight. The vegetable will be available at Waitrose in the black variety, grown in Cambridgeshire and Norfolk, as well as a small amount of white salsify, which is grown in the sandy soils of Ayrshire in Scotland. A reasonable person might imagine that there are indeed two varieties of a single crop. An unreasonable one, me, would take to his keyboard in a huff, explaining that the vegetable occasionally known as black salsify, is also known as scorzonera, and is botanically Scorzonera hispanica, while salsify is Tragopogon porrifolius. Admittedly both are in the same family (Asteraceae) but they are not varieties of a single crop, unless that crop is forgotten Victorian root vegetables. Adding insult to injury, the Guardian’s photograph of Tragopogon porrifolius is captioned “Scorzonera hispanica (salsify) roots with tendrils. Photograph: Dorling Kindersley/Getty Images/Dorling Kindersley”. Right common name, wrong Latin name. I traced it back to the original. The page itself has vanished, but thanks to the Internet Archive a version has been captured, and though it lacks the image, it does state clearly that it is Tragopogon porrifolius. Somewhere along the line, probably when Getty Images acquired it from Dorling Kindersley, things got messed up. Certainly Getty’s gallery of salsify images is a jumble of the two species, with Scorzonera predominant. I’ll go and get my lunch now. We’ve mostly (though not entirely) steered clear of the Xylella crisis in Italy, because it all seems to futile. I was in Puglia earlier this summer and it was heartbreaking to see entire olive groves dead and dying, and for what? Because of fear and mistrust all around, and an absolute absence of any kind of societal solidarity. So the recent news that the infected zone continues to march steadily up Italy’s heel was in many respects inevitable. The disease is now threatening plant nurseries, which may be even more important economically than those majestic old olive trees, because they supply huge amounts of grapevines for export. And what do the nurseries say? That “a lack of effective action on the part of regional authorities is responsible for the spread of Xylella, which is now unfairly forcing a crucial economic sector to shut down or move”. On the one hand, they’re absolutely right. On the other, they think that plant nurseries should be exempt from the controls because “no Xyella-infected plants have ever been identified in plant nurseries”. 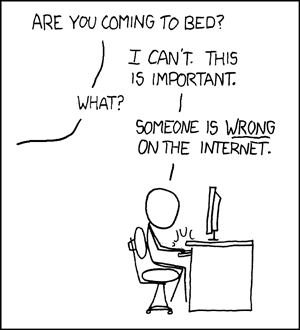 To which, pessimist that I am, I would add only “Yet”. In the middle of my recently completed magnum opus on wheat and bread, I got a message from Shelley at Against the Grain Farms in Canada. They’ve been working on restoring old varieties of wheat and barley for the past 31 years and they’re looking to contact farmers and researchers who would like to collaborate in some participatory plant breeding.